The two seemingly different aspects of the Omer period, the tragic loss of Rabbi Akiva’s students and the personal mitzvah to count the days between Pesach and Shavuot are intertwined. Founding Rav and Rabbi Emeritus Beth Avraham Yoseph Congregation of Toronto/Thornhill ( The BAYT, twinned with Beit El),one of the largest and most vibrant congregations in the Orthodox world. The rabbi made aliya with his wife Malkah and now lectures and teaches in various Yeshivot in Israel. In a time when the Jewish People are fiercely divided on core issues of identity, politics and religion there is a tradition that speaks to a working solution and it is happening right now. 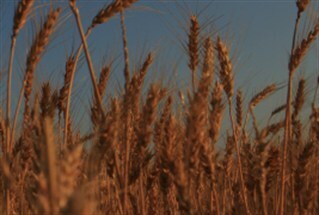 The fifty days between Pesach and Shavuot are known as the Omer period. People are sometimes confused about the observance of these days because there are really two seemingly different traditions that collide. Firstly, there is an imperative to count the days from Pesach which celebrates our physical freedom to Shavuot when we received the Torah, highlighting our spiritual freedom. There is an actual Mitzva to recite a blessing and mechanically count the days in anticipation of Zman Matan Torateinu – the day we received the Torah. In the words of the Talmud “Ein ben chorin ela misheosek baTorah” “Real freedom is defined as attachment to our Tradition”. Secondly, the Omer days are a semi-national mourning period due to the tragic loss of the 24000 students of Rabbi Akiva who died in a plague between Pesach and Shavuot. Because of this joyous celebrations such as weddings are curtailed. In fact these two seemingly desparate ideas are dealt with in two different chapters of the Shulchan Aruch (Code of Jewish Law) separated by 5 chapters. But are they really separate? I think not. A closer look at these two Omer ideas will surprisingly yield a common thread which very much resonates for us today. Concerning the mourning aspect the Talmud relates that during this calendar period “Rabbi Akiva had 12000 pairs of students…. and they all died in a plague because they did not extend respect and honor (kavod) to one another”. Notice how the Talmud represents the 24000 as “12000 pairs of students”. This of course is reflective of the traditional chavruta method of study in yeshivot where Torah is studied in pairs. However it could very well be that the emphasis on “12000 pairs” rather than 24000 individuals directs us to the very source of their misstep. The Mishna in Pirkei Avot presents 48 ways to acquire spirituality one of them being “Noseh baol im chavero” – to “identify with the burden of your friend”. One commentary, Chassid Yaavitz, (19th century) suggests that the Mishna is presenting a lesson in the ethics of chavruta study. One must seriously consider his study partner’s interpretation of the text under discussion and not be dismissive of it in favour of one’s own. One could posit that the impropriety of Rabbi Akiva’s students was that they were glibly dismissive of the intellectual presentation of their partners. Each refused to respect and honor the individual opinion of the other, choosing instead to make short shrift of his scholarship. In the case of a Torah scholar this represents the very rejection of his unique persona. It can be demonstrated that this idea relates directly to the other aspect of the Omer, the counting of the days. There is a dramatic halakhic anomaly with regard to the Mitzva of counting the Omer. Normally one Jew can fulfill a mitzvah for another. For example, the recital of Kiddush on Friday night is an obligation for everyone yet when family and friends gather usually one person recites the Kiddush and everyone fulfills the obligation by listening. Counting the Omer is an exception to the rule. Everyone must do the counting on his own. For example, if one misses a day, he can no longer count with a blessing. He listens to the blessing from someone else but he does his own counting. Why? The Kabbalists present a majestic explanation. Every Jew is unique and has a singular spiritual quality coupled with the potential of a unique spiritual contribution to make towards Am Yisrael and Tikkun Olam that is shared with no other Jew. The purpose of the counting according to the Kabbalists is to energize every Jew to discover his / her uniqueness culminating in a grand personal “Receiving of the Torah” at Shavuot. Rabbi Natan Adler (18th century), related to his disciple Rabbi Moshe Sofer (Chatam Sofer) that for weeks he was unable to understand a particular passage in the Talmud. One evening he entered the Beit Midrash and a chavruta of 2 laymen happened to have been studying that very passage after a long day at work. One of them recited the passage in question as simply as one would recite the Alef Bet. Rabbi Adler related that this person’s unique spiritual contribution was to reveal the interpretation of this Torah passage to the Jewish world. His personal sefira / counting achieved its goal. The counting then is a catalyst to self-discovery. It is about a very personal quest to find one’s unique role with which to contribute to the future of the Jewish people. Therefore no one Jew can count for another in this mitzva. EVERY JEW COUNTS BECAUSE EVERY JEW COUNTS. This then was the tragedy of the students of Rabbi Akiva: Their failure to acknowledge the individual uniqueness of their colleagues. It would seem that these two seemingly different aspects of the Omer period; the tragic loss of Rabbi Akiva’s students and the personal mitzvah to count the days between Pesach and Shavuot find their nexus here. Basic to Jewish tradition is the recognition of the uniqueness of every single Jew. This is quite a challenge today in the atmosphere of ugly verbal and physical attacks by Jews upon Jews which we have been witness to of late. Peace, explained Rav Kook, does not mean that we must agree with one another; peace means we must understand and respect each other. Well maybe the Omer experience suggests a more realistic starting point. The late Rabbi Abraham I. Kook in his “Olat Reah” commentary on the prayer-book presents a compelling lesson. During the Shabbat service we read “Torah Scholars increase peace in the world”. Anyone who ever entered the study hall of a yeshiva to observe the vigorous manner in which Torah is studied in chavruta fashion would find it puzzling to say the least to understand how “scholars increase shalom – peace in the world”. A good starting point to calm and stabilize our society. I often wondered how it was that the 24000 students of Rabbi Akiva of all people failed in their inter-personal relationships. As children we sang the song “Amar Rabbi Akiva ve’ahavta lereacha kamocha ze klal gadol baTorah” “Rabbi Akiva said love everyone as you love yourself. This is a great rule in the Torah”. So how did it happen? Well first of all the text is problematic. If “love your neighbor as yourself” is a verse in the Torah why does it begin by saying “Rabbi Akiva said”? I would suggest that this became Rabbi Akiva’s mantra after the tragedy he experienced. And for the rest of his days as he began the arduous process of raising new students and revitalizing Jewish life he proclaimed that Tikun Olam and realistic peace for the Jewish people can only come about by an application to a realistic peace. Let us not just count the Omer but make the Omer count.